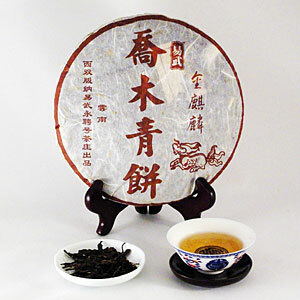 Teas from the famous Yiwu Mountain are famed for having elegant “Yiwu Charm,” which is another way of describing the tea as having a flavor that is “soft, yet not arrogant” and a qi that is “prominent, yet not dominating.” This dark orange brew possesses all the classic characteristics of a genuine Yiwu tea. Its round, thick and smooth body comes with a sweet honey note. The qi is felt quickly in a manner that is very relaxing and soothing. This tea is ideal when you need to wind down after a long day of work.